These words are the final part of the mission statement of the National September 11 Memorial & Museum at the World Trade Center in New York City. As the nation and world mark the 12th anniversary of the 9/11 attacks, Karson Butler Events shares the sentiments of the 9/11 Memorial. Today we're asking our readers to make Sept. 11, 2013 a day of commemoration. Take a moment on this day to remember and honor the thousands of innocent men, women, and children whose lives were lost on September 11, 2001. Thank your local first responders for their dedication to protecting your community. Remember the many Americans who have served and are currently serving in our nation's military—many of whom enlisted as a response to the 9/11 attacks. Today we especially have Amber's former co-workers at Fiduciary Trust & Franklin Templeton Investments in our hearts as they remember the 87 employees & friends of the firm lost in the attacks. Let us come together this 9/11 and take a day to honor, remember and reunite. 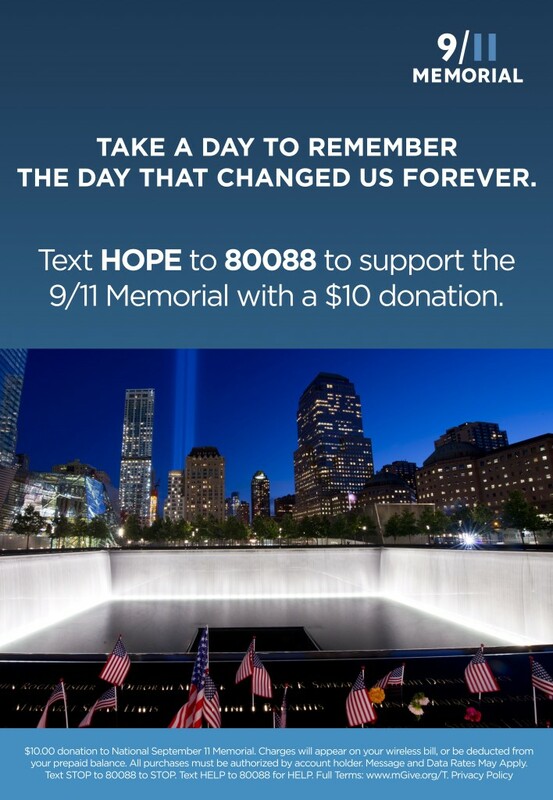 For more information from the National September 11 Memorial & Museum, visit 911memorial.org.